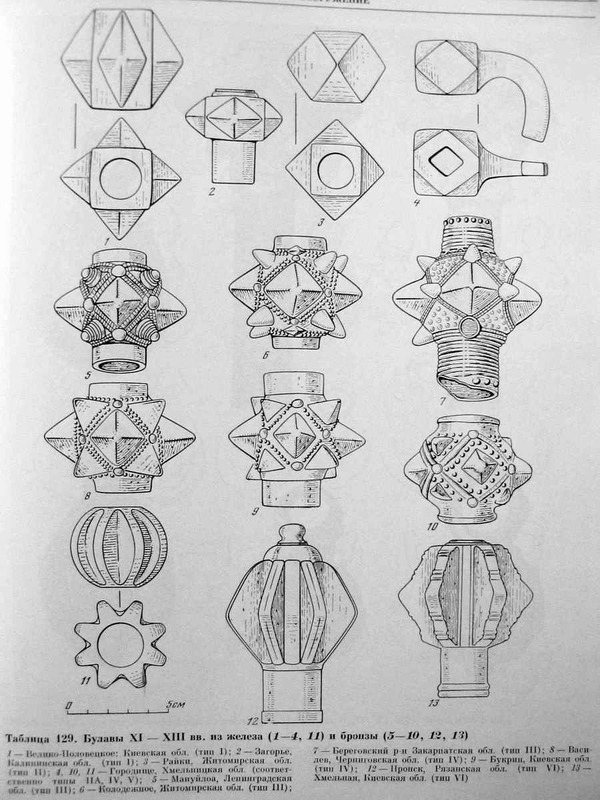 I'm looking for information on the type of mace classifies as Kirpichnikov type II. 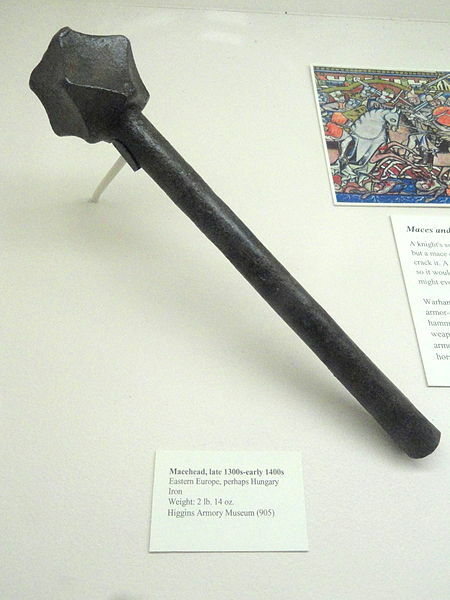 My decent googling skills have turned up nothing in terms of specifically where/when this type of mace was used or pictures of historical examples. Surely there must be something out there. As far as I'm aware, Kirpichnikov's writing has not been translated to English -- but if anyone has info or links that can shed some light on this type of mace, it would be appreciated! Pic attached. I've reached out to the maker of that mace as well in case he has background info. Thanks! 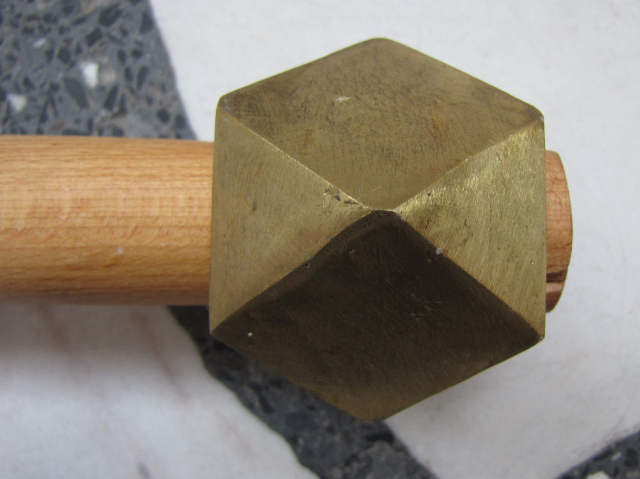 From praecepta militaria: "Mace heads should be sharply angular, triangular, square and hexagonal" I thing it fits with picture, you have posted. Generaly mace as a weapon came from asia along with heavy armour and other accesories. First time(after antiquity) it made its way to europe was through adoption of it by Byzantines. http://club-kaup.narod.ru/rec/arcussr/table129.jpg Here is similar to yours description says it is from Raiki in Zitomir district. Kirpicnikov writes that yours one is bit Later type of mace from cca 12ct. It was been found throughout all Russia(especially in southern parts), but all examples were made of Iron. I don't have a link to Kirpichnikovs paper right now, but it shouldn't be hard to find and although in Cyrillic, the pictures, dates and maps link up clearly enough to tell you what you need to know. I havent stated it, but i did so. And i can speak and read Russian.